Disabilities are creating difficulties in receiving proper dental care. Welcome to Smile Art Dentistry, I’m Dr. Michael Scrydloff. Our Poway Dentistry staff and I invite you to discover our cosmetic and sedation (Including “laughing gas”) dental services in Poway. Smile Art Dentistry utilizes the most advanced techniques and equipment to provide the smile you deserve. We pride ourselves in creating an enjoyable and comfortable environment for your dental visits. Smile Art Dentistry provides routine dental care, sedation dentistry, cosmetic dental services, and oral surgery all at one convenient Scripps Poway area location. Dental care is an important part of maintaining a healthy lifestyle. Smile Art Dentistry performs all dental services for children, adults, and special-needs individuals. We specialize in helping fearful or anxious patients by offering painless sedation dentistry through oral sedation, nitrous oxide (laughing gas), and general anesthesia. Whether you suffer from fear, anxiety, or lack of time to get the dental services you need. With our sedation dental services, we can reduce anxiety, pain, and or minimize the number of dental visits. No matter your dental needs, Smile Art Dentistry is here to serve you! Periodontitis is a significant gum condition that leads to tooth loss, bone loss in the jaw, and more serious health issues. Smile Art Dentistry offers advanced dental treatments and are happy to educate you further in regards to this ailment. Discover the methods of treating and avoiding Periodontitis with Smile Art Dentistry. Smile Art Dentistry recommends regular dental visits that help to identify and treat issues before they become costly or problematic. When detected early most dental ailments are easily treated. Our advanced methods and equipment in addition to regular dental visits will ensure you maintain a healthy smile and teeth. Contact Smile Art Dentistry today for a consultation. Smile Art Dentistry utilizes the latest technological advancements to ensure a positive experience on your dental visit. We perform nearly all dental procedures within our office without sending you to other offices. 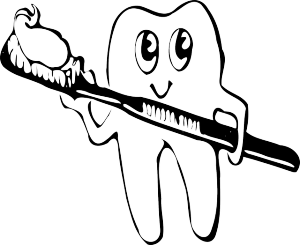 Our goal is to provide you with comfort, convenience, and the best dental services in Poway. Smile Art Dentistry offers dental services for adults and children and individuals with special needs. We excel in in treating people with dental fears and phobias with kind personal attention. Visit our advanced dental facility for routine, cosmetic, and sedation dentistry.